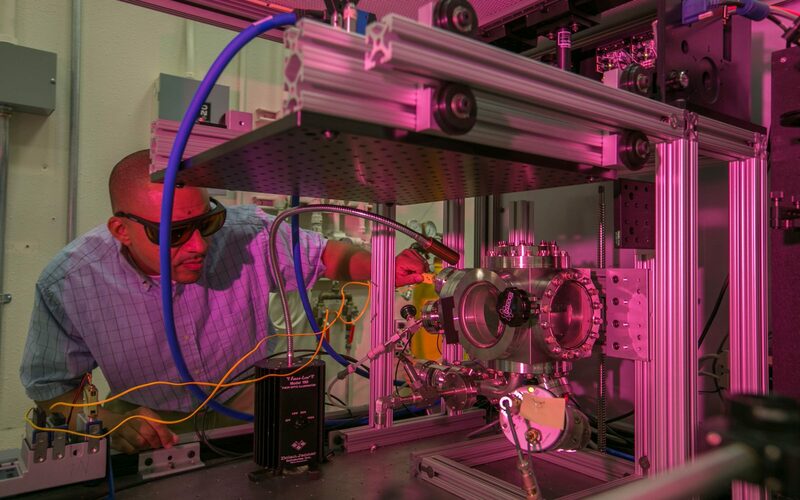 The Department of Energy’s 17 National Laboratories form a nationwide network that is working to solve some of the world’s greatest scientific challenges. At the National Labs, researchers are developing new energy technologies, advancing the frontiers of scientific discovery, protecting national security, incubating new industries, and fostering the next generation of scientists and engineers – strengthening America’s global leadership in science and innovation. Click on the map to learn more about each of the National Laboratories. Research: Materials science and engineering; chemical and biological sciences; applied math and computational science; environmental and protection sciences; and simulation, modeling and decision science. Research: Nuclear weapons; defense; energy; materials science and homeland security; nonproliferation; supercomputing and cybersecurity; robotics; climate and infrastructure security; nuclear reactor safety; nanodevices and microsystems; geosciences; bioscience; radiation effects; and nuclear fusion.